Are We Playing It Safe With Our Kids? Sign up for blog updates so you never miss a post. Thousands of Doctors recommend that children reduce exposure to cell phones and wireless. 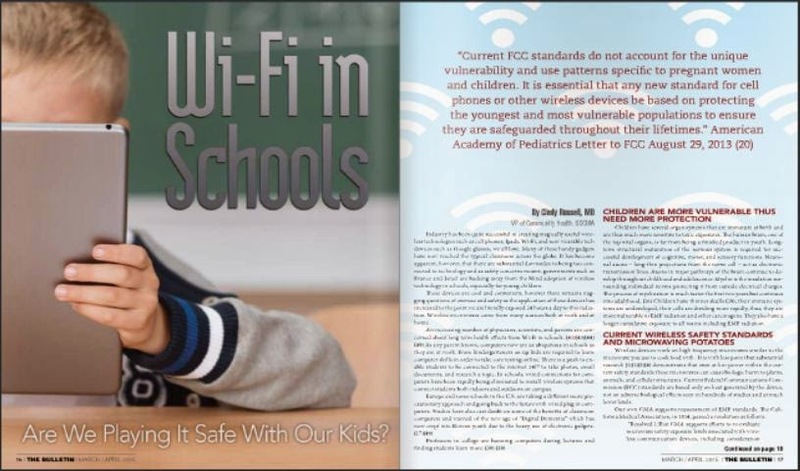 Click here for a Full Compilation of Medical Doctors Statements and Letters on Wi-Fi in Schools including the American Academy of Pediatrics Recommendations on Cell Phones/Wi-Fi and Electromagnetic Fields. Our children deserve a safe and healthy environment. Safe Tech for Schools has additional articles that are wonderful to share. Please contact us for these at safetechforschoolsmaryland@gmail.com.